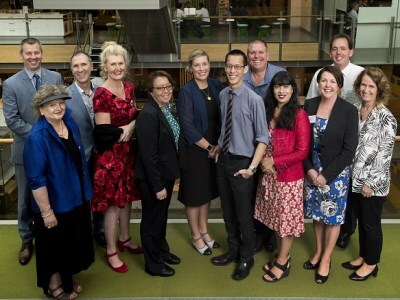 A small handful of teachers from across the three education sectors have been awarded a $45,000 fellowship for educational excellence, as part of the 2017 Commonwealth Bank Teaching Awards. The awards, launched in 2016, recognise and reward great teachers and principals – especially those working in challenging and socially-diverse communities. Applications were assessed against five criteria: transforming learning outcomes, collaborating and sharing knowledge, engaging with the community, applying technology in teaching and possessing the attributes of a Teaching Fellow. • $30,000 to fund a project in their school to improve student achievement and well-being. In a statement, Ian Narev, chief executive officer of Commonwealth Bank, said the bank is committed to helping teachers “increase the impact of their exceptional work”. Rosemary Conn, chief executive officer of Schools Plus – a partner in the awards –said they show the organisation’s appreciation for the work they do and “shine a light on the exceptional teaching that makes the greatest difference to students and the community”. “These 12 outstanding educators go to inspiring lengths to provide the sort of teaching that opens up new possibilities for their students, regardless of their backgrounds,” she said. One of the winners, Belinda Wall, principal of Woonona High School in NSW, told The Educator that the cornerstones of effective teaching are “deep knowledge paired with rich and engaging task design and formative assessment”. “[Equally important is] the provision of professional learning that supports teachers in engaging in best practice, innovative pedagogies and a shared vision for the school with best outcomes for students as the driver behind every decision,” she said.